The requirements for a city to win summer are nearly identical to the requirements for a planet to sustain life: It must be warm but not too warm, abundant in water, and in the direct path of sunlight. Many locations that call to mind heat and sun—Phoenix, Las Vegas, Miami—are oven-hot during the summer months and perhaps better enjoyed during the winter. Other cities, such as Seattle, Buffalo, long-suffering Detroit, never manage to attain the ideal walk-around-with-shirt-off temp, even in the dead of August. Still others, such as San Diego and Los Angeles in California and New York's Hamptons, come with price tags commensurate with their popularity. And, really, who wants to lie on the beach sipping margaritas while anxiously monitoring their Mint.com profile? *All weather data based on months of June, July, and August and courtesy of Weather.com. “By travel industry standards,” says Travel + Leisure magazine, “summer is the one-and-only season in Alaska.” Citing cruises, glacier treks, and “caribou-spotting in Denali National Park,” the magazine selected the city as their #7 summertime destination. For nightlife, TripAdvisor suggests Chilkoot Charlies, a large bar-club spot that’s been around since 1970, or Humpy’s Great Alaskan Alehouse, a local beer-lover’s paradise. D.C.’s many outdoor attractions, walking tours, and beautifully manicured parks (which rival England’s) are best enjoyed in the summertime. Oprah.com, in listing the city as one of its top ten summer destinations in the U.S., recommends having lunch on the two-mile National Mall park, and, after sunset, visiting the Lincoln Memorial or Jefferson memorial, both which are “beautifully lit up at night.” When going out, try the famous 9:30 Club near U Street, or the many bars in Dupont Circle. History buffs (or people who dig historical reenactments, a.k.a everyone), should consider Colonial Williamsburg in Virginia as a summertime destination. In addition to its charming 17th-century architecture, terrific restaurants, and ghost tours (! ), the city also boasts proximity to Virginia Beach (an hour drive), and Busch Gardens, easily among the most beautiful—and thrilling—theme parks in the country. New York (the five boroughs, that is) is insufferable in the summer, with subway delays and baking sidewalks offering no respite from the skyscraper-high temperatures. 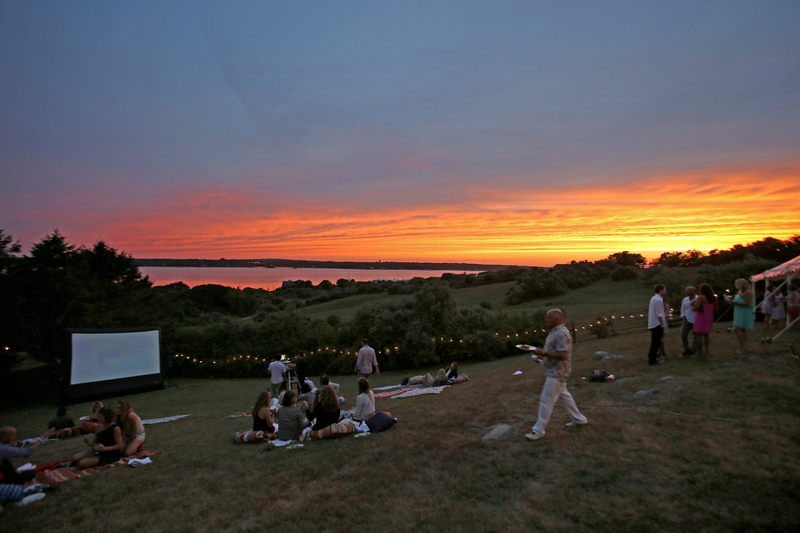 The number-one getaway for Manhattanites, the Hamptons area, tends to be too pricey and, unless you’re part of the scene (in which case, I’m waiting for my invite), not exactly conducive to a fun, relaxing, social summer outing. So where can you go for reliable—and reliably reasonable—getaway? Montauk. With lower (though not exactly cheap) lodging and entertainment prices, this small city on the South Fork of Long Island manages to maintain its charm while offering numerous beaches and a growing nightlife scene. If you are a lobster fan, summer is probably your favorite season; and, if you’re able, you should try to get your claw-cracking self to Portland, Maine this season. Travel + Leisure says the crustacean-purveying city is “one of the biggest summer lures of this New England city.” They also cite Portland’s classic fishing-town architecture, cobblestone streets, and boating recreation as additional reasons to make the trip. Summer in Tennessee starts strong with the Bonnaroo in Manchester in June. If you’re not up for a multi-day debauched music festival (or you just didn’t buy your tickets in time), you can head straight to Nashville, which is an hour’s drive away. The city is often cited as one of the best summertime spots in the country, owing to its affordability and abundance of live music (the Country Music Association Music Festival is June 5-8). And nearby Radnor Lake offers an alternative setting for hikers and nature-lovers. It’s hard to pin down, in words, the classic American summertime sensibility, although it seems to have a lot to do with Nantucket Red shorts, topsider shoes, shingle style architecture, and sailing. You’ll find all of that and more on Cape Cod, a stretch of Massachusetts shore cities that collectively feel like a live-action J. Crew advertisement. And though the Cape has housed luminaries such as the Kennedy family and, briefly, Taylor Swift, normals can still enjoy its beaches, bars, and restaurants (Box Lunch is a must-try). Affordable hotels and entertainment options abound, according to Boston.com. They recommend the Cape View Motel for cost-conscious lodgers, and Far Land Provisions in Provincetown for an easy breakfast or lunch. Falls, geysers, volcanoes, canyons, forests: There’s a reason why Yellowstone National Park—a 2.2-million-acre expanse of natural wonder stretching across Wyoming, Idaho, and Montana—is one of the most appealing and least exhaustible destinations in the world. In the summertime especially, it’s a nature-lover’s dream. The area’s slightly cooler-for-summer temperatures offer a welcome respite for those setting off on grueling hikes or climbs. And for those less enamored of outdoor recreation, the park offers a range of hotels, restaurants, and other markers of civilization. California in the summertime—I can hear the theme song from The O.C. playing in my head already. Los Angeles and San Diego tend to steal the show during the summer months, but, for a more relaxing and nature-y experience of the California coastline, we’d recommend Santa Barbara. Not only are its hotels, restaurants, and nightlife spots more affordable; it also offers a number of nature trails for hiking. Bonafide nature-lovers should consider staying at the El Capitan Canyon nature lodge just 20 miles north of the city.